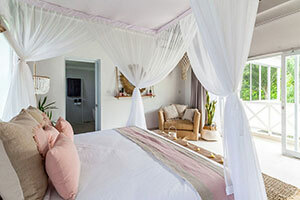 The Palm Tree House was born from global award winning, Escape Haven Retreats. 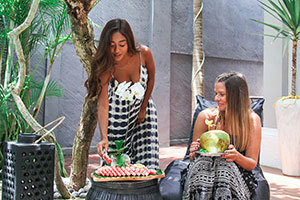 It celebrates everything we love about Canggu and Bali. 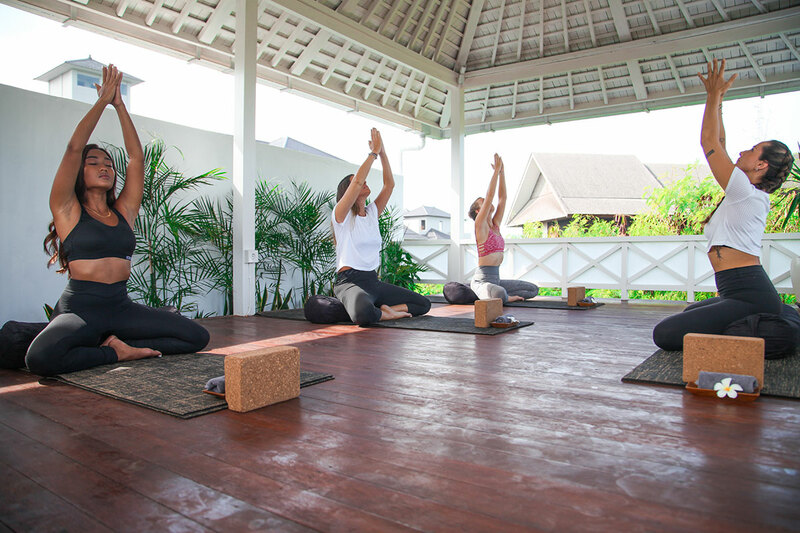 The healthy lifestyle of yoga surf and laid back island living. 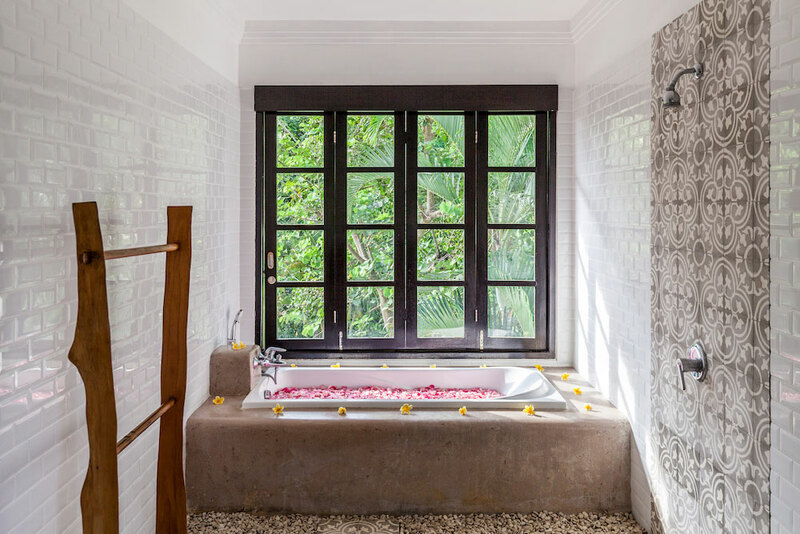 Think barefoot, luxe island living in a gorgeous boutique villa retreat. 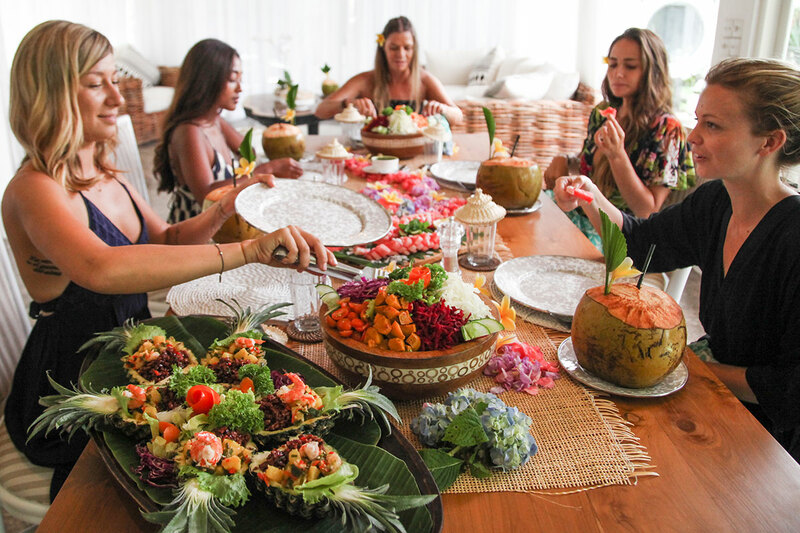 Surrounded by tropical gardens and palms, close to the beach and organic cafes and eateries that Canggu is renowned for. 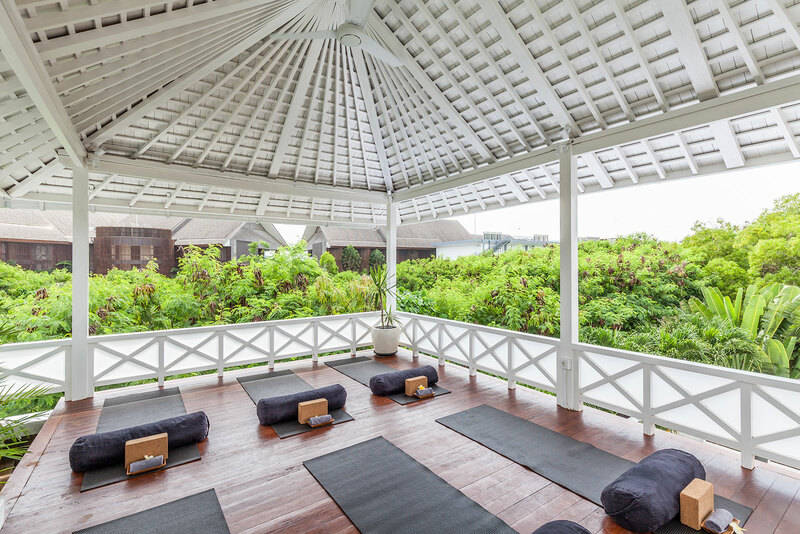 A relaxed week long experience with your choice of a surf, yoga, fitness or healing retreat package. You are invited to do as much or as little as you want, the choice is yours. 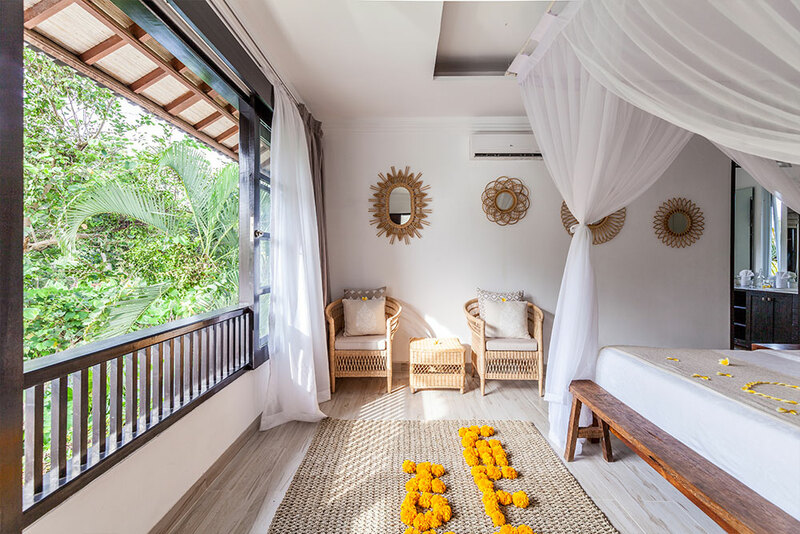 We’ll ensure you reach your ultimate balance and holiday goals so you float out the door after your Bali retreat with us! A week of warm waves and expert instruction. You’ll love this powerful combination. 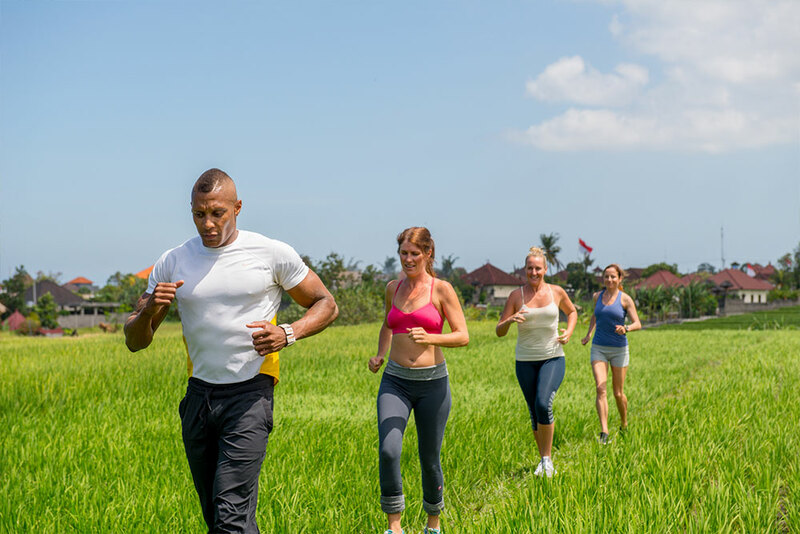 If you are looking for a reset or want to improve your fitness, this package is designed for you. Suitable for all levels, you’ll feel inspired and supported to reach your fitness goals. Refill your tank with 3 healing sessions designed to make you feel incredible. Bali is renowned for its world class healers and we work with the best of the best. For a week of deep relaxation and rejuvenation, look no further than this package. Your body, mind and soul will thank you for it! We have five retreat villas for you to choose from. 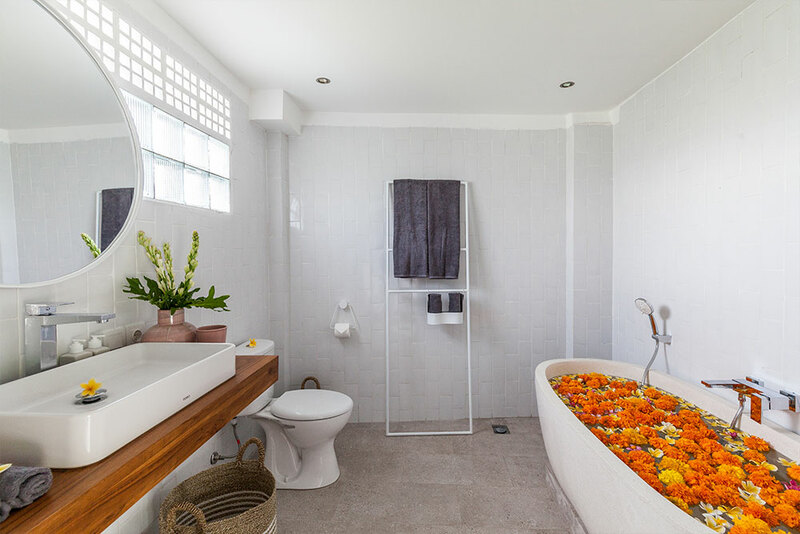 Each is boutique and perfectly formed with a maximum capacity of only 7 guests at any one time. 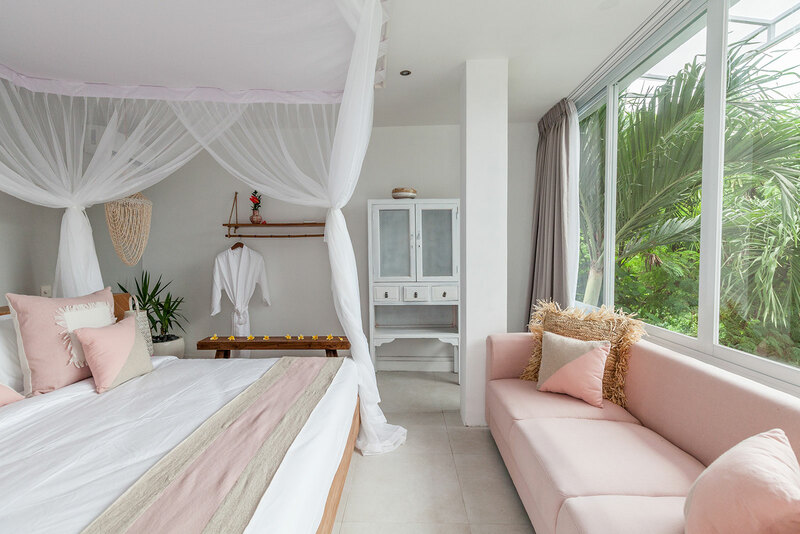 You will share the week with other like minded women and enjoy the privacy of your own private sleep sanctuary and ensuite. This ensures your time in our Boutique Bali Retreat will be peaceful, you will be cared for and will have the space to really relax into your week. With no set schedules, you will have the flexibility to do what you want, when you want. With two sightseeing days included, your personal drivers will whisk you away to the famous sights on Ubud and the beautiful beaches and ocean in Uluwatu. 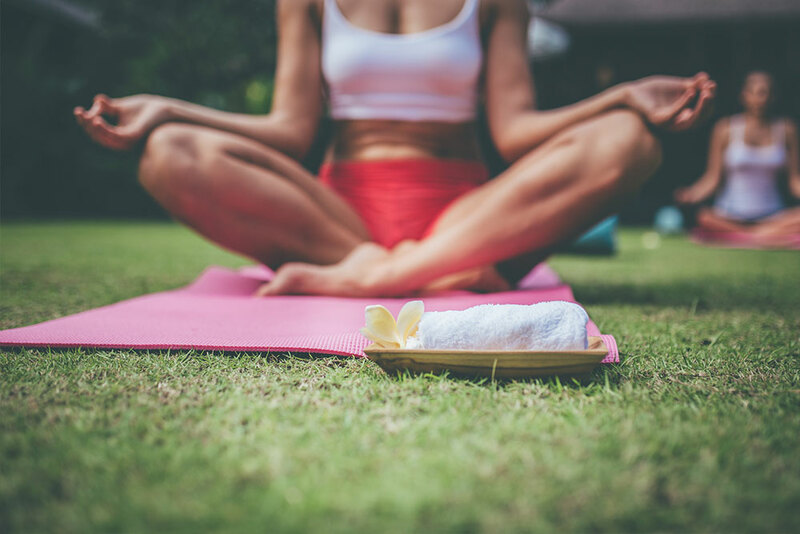 You can choose from a range of package add on’s depending upon your interest – surfing, yoga, healing or fitness, its all on offer. You have the freedom and flexibility to arrive any day you like to our Bali retreat. There are no set times of schedules but rather a choice of what you would like to do and when you would like to indulge yourself. We take care of all the planning. You will be cared for by a team that will become family. From your personal driver, to your housekeeper, gardener and host, you’ll feel like family in no time with your home away from home. The Palm Tree House is bought to you by the very experienced team of award winning Escape Haven retreats, so you can rest assured you are in expert care. Enjoy rejuvenating spa treatments in the comfort of your villa with our professional spa therapists. You’ll feel pampered to perfection in no time! What better way to experience a boutique Bali retreat than in a luxury villa. You will enjoy all the features and facilities of your home away from home. We call it laid back luxe living, kick off your shoes and enjoy! In the safe hands of our drivers, enjoy escorted day tours to see the very best beach and temples that Bali offers. 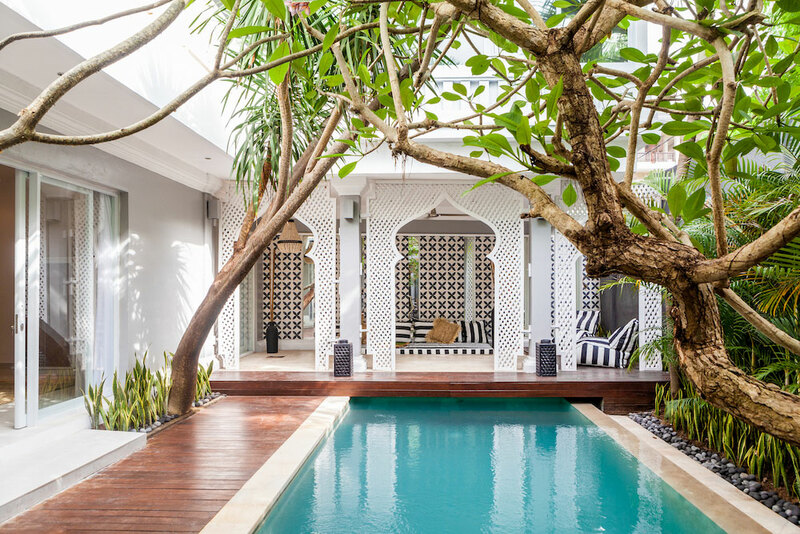 The Palm Tree House Experience is about giving you the ultimate freedom and flexibility to enjoy your Bali retreat holiday, the way you wish to enjoy it. It takes place in luxury surroundings amongst a handful of likeminded women.